California is a brilliant river town destination to discover the great outdoors and to learn something new. California got its name from settlers traveling west to the state of California, during the gold rush of the 1800s, who recognized the natural beauty of the area, and decided to stay and build their own little “California of the East.” Historically a well-known boat-building site, today California is a great place for residents and visitors alike to enjoy the waters of the Monongahela River. California is also home to California University of Pennsylvania1, situated on 294 beautiful acres of riverfront property. Cal U has continually been ranked among the Best in the Northeast by the Princeton Review. If you plan to enjoy a day out on the water, you can launch your kayak, canoe, or boat at the public boat ramp, located at the corner of First and Union Street. Limited street parking is available on Union and First Streets or in the gravel lot behind the basketball court on Mechanic and Third Street. Paddle upriver for a four and a half mile scenic stretch of the Mon until Brownsville appears on your left. You can exit at the wharf here and stretch your legs, before floating back to California. 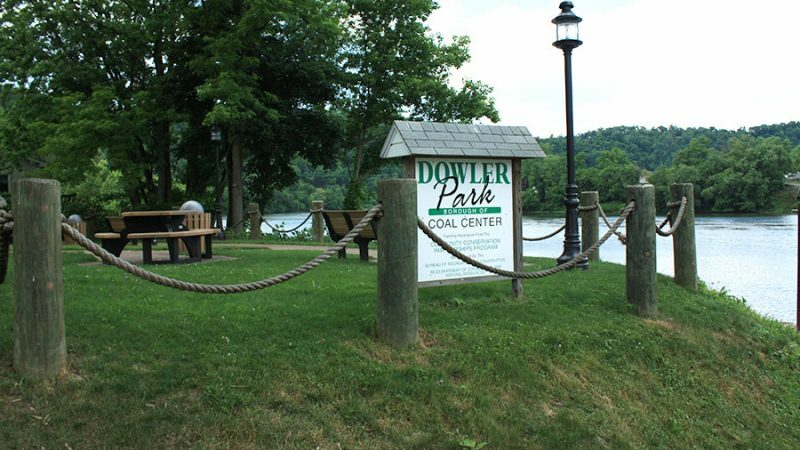 A half mile upriver from where you originally launched is the public dock at Dowler Park in neighboring Coal Center. Dock your boat here and head up the bank to Lagerheads2 Bar and Restaurant at 100 Spring Street for fresh food (try one of their bountiful salads), cold drinks, and outdoor seating. When you are ready for further exploration, navigate back to the public boat launch on the corner of First and Union Street. Exit the river and head into town to discover some California history. The California Area Historical Society3, at Fifth and Wood Streets, is a century old house, containing historical records of Washington, Greene, and Fayette Counties and local Civil War regiments. 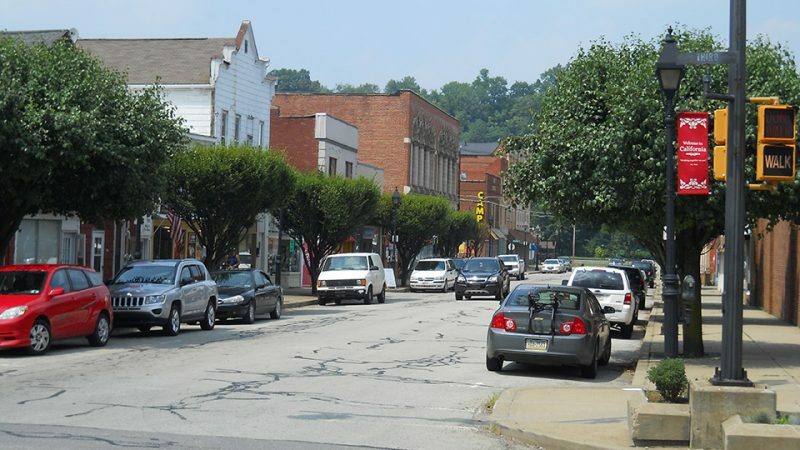 Jozart4, a local nonprofit, is also located on Wood Street, offering a wide range of cultural programming, and teaching everything from guitar to belly dancing, so be sure to call ahead and see what new skill is being taught on the day of your visit. 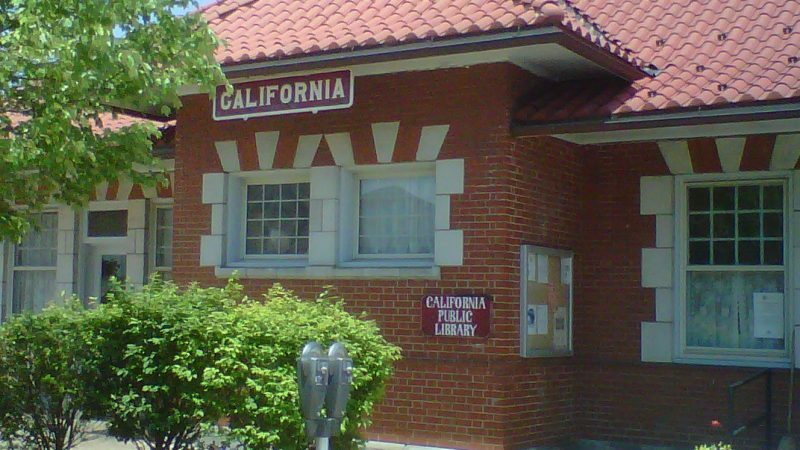 Railroad buffs may enjoy a visit to the former train station, now the California Area Public Library, or the authentically painted caboose from the Wabash Line sitting in the adjacent park at the end of Wood Street. Speaking of parks, California Borough maintains two public parks. Along the Monongahela River is Wyatt Park with relaxing benches to read a book or simply get lost in thought, while overlooking the Mon. Rotary Park, located on 3rd Street, is a handicapped accessible park with a half mile walking track, gazebo, and pleasant fishing on Pike Run.